Yet more free (and partly free) learning resources for teachers and students. When a reporter for a student newspaper asked Keith Pomeroy about a free course-management software program called Schoology, the technology director for Ohio’s Olentangy school district didn’t have a ready answer. “I looked around my office and asked, 'Does anyone know what Schoology is?'" recalled Pomeroy, in a story that appeared in the Dec. 5 print edition of Education Week. He was surprised to learn that more than 500 teachers and students were already using the technology. By the time Pomeroy, who was already in the process of evaluating course-management systems for the district, had finished his investigation into Schoology, more than 1,500 students and teachers had adopted the technology — all in the span of a few weeks. "I've never seen this trajectory on any other tool," Pomeroy said. With the proliferation of free online learning tools for teachers and students, it’s no surprise that administrators have a hard time keeping up. New tools crop up online every day, but while some prove useful, others disappear with little or no warning. This online resource marries the traditional concept of blogs with the shareable nature of popular social media applications, such as Pinterest. Students can mix and match multimedia to express themselves in class or with friends and family. The application is free for students. An educator version is available for a fee. 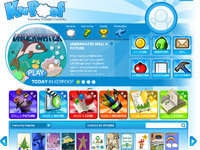 A Walt Disney product, Kerpoof is billed as a resource that helps students, particularly younger learners (K–8), hone their creative skills. Students can use the tool to produce short movies, make greeting cards, draw pictures and even tell animated stories, among other uses. Educators have access to free lesson plans and classroom ideas, and an online newsletter helps teachers get the most out of their time on the site. Special registered teacher accounts give educators access to self-moderated classroom boards, student chats and other features. This online tool bills itself as a "personal online desktop." Not unlike a smartphone's user interface, Symbaloo provides a way for students to organize, manage and access their favorite online destinations from a single desktop-style launching pad. The application is free for students and other individual users, and an EDU version is available to educators for a modest yearly fee. 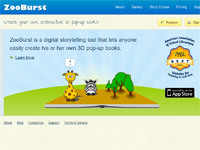 With Zoo Burst, students can create their own digital 3D pop-up books. 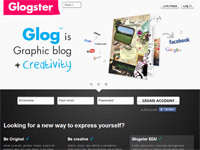 Yet another site that uses multimedia to spur creativity among younger learners, this resource, honored by the American Association of School Librarians in 2011 as one of the web's best, lets students create a 10-page book for free. Longer projects can be created with the addition of a premium subscription. Are your students using any of these applications in school? Should they be? Perhaps it's time to find out.